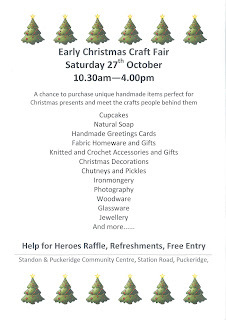 If you live in Hertfordshire, start your Christmas shopping early and purchase some unique and hand crafted gifts at the Early Christmas Craft Fair to be held at the Standon & Puckeridge Community Centre, Puckeridge, on Saturday 27th October. Open between 10.30am and 4pm there will be over 20 of stalls by local crafts people and artists including handmade cards, soap, jewellery, fabric gifts, woodware, photography, ironmongery and much more. It will be a great opportunity to purchase unique handmade gifts for Christmas from local crafts people and talk to them about their crafts. Admission is free and there will be a charity raffle in aid of Help for Heroes with prizes donated by some of the stall holders. 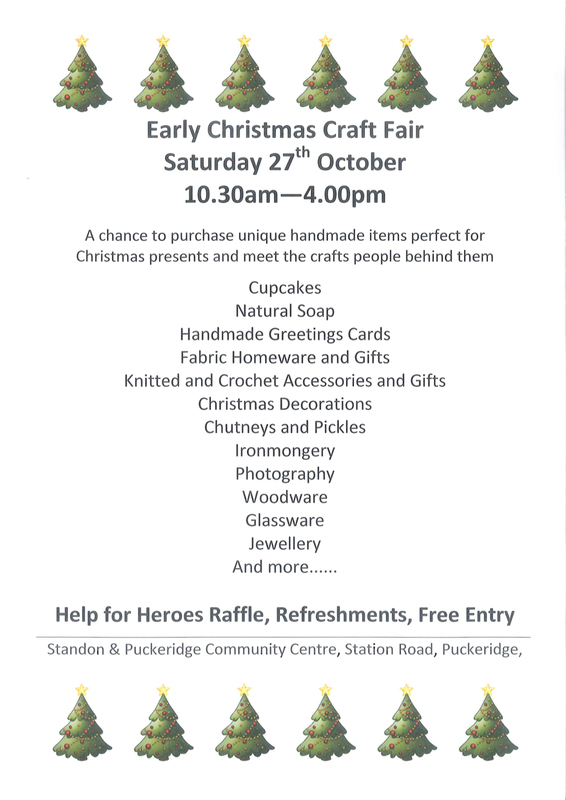 The refreshments will be organised by the Standon & Puckeridge Guides.